I’ve been driving along the streets of Qatar with a guy called Neill. I’ve taken him to school with the kids, we’ve been to the souq, and grabbed a quick coffee at the Costa which is just around the corner from my house. I like Neill a lot, he’s made me giggle out loud a few times in our very one sided conversations. I have imagined him, projected my ideas with the reality of his voice, which is perhaps apt as he’s my lecturer in Visual Communications. He arrives in my car through a podcast or audio pod. While Neill stands at a lectern in Wagga running through a series of pictures while speaking in art terms I’ve never heard before, I wonder where else his voice is heading. On a tube in London through the headphones of an Australian student based in Wimbledon? Through the laptop speakers of a stay at home parent in Ghana? Where else does Neill go, and do they do giggle out loud like I do when he talks of heading home drunk from a toga party, three sheets to the wind. G walked into our bedroom a few nights ago with a concerned look on his face and an iPad in his hand. As he got closer I realized we weren’t alone, he was listening to someone else. Unbeknown to poor Tim he’d taken a trip to the bathroom on his way to joining us in bed. As I drive the children to school I watch their faces as they listen in wonder to the latest tales from Radio Lab. They listen to explanations of famous tumors, bodies that were frozen for hundreds of years, and dinosaurs hit by meteorites. “No Way” one of them calls out loud as they discover what transpires inside the cocoon of a caterpillar as it becomes a butterfly. This morning while my teen reads her latest download from ibooks, I sit listening once again to Neill’s voice as I follow the pictures on the screen of my laptop. 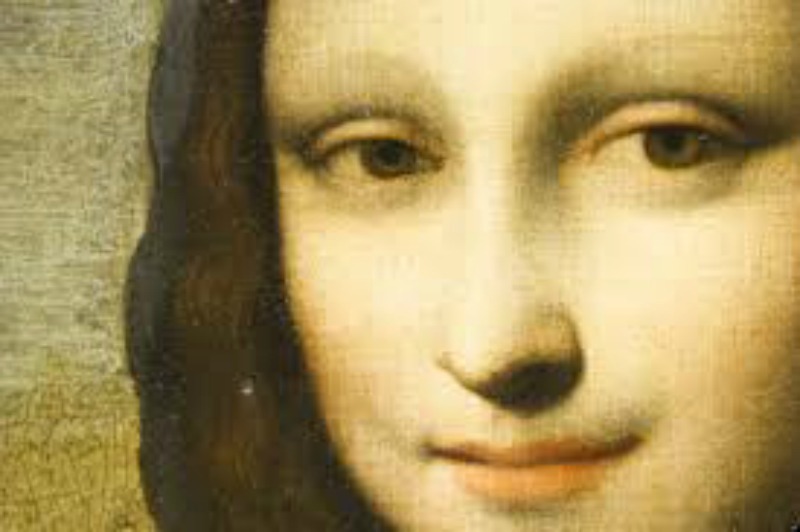 I smile when Neill says “Here’s one from da Vinci – you guys would have heard of him from the da Vinci code.” I picture the millenials in the room. My parents both studied while working. Both of them living in the country trying to further their education. My mother would race off to TAFE after putting dinner on the table, my father received lecture notes in the mail. Neither had a laptop, listened to a podcast, or followed a link from an elibrary. My distance education doesn’t feel all that distant when I consider what my options were ten years ago. My expat life feels decidedly less expat. And if it wasn’t for the desert storm last night and the discovery of a scorpion making its way across the road this morning, I could possibly, for just a moment, be convinced I was somewhere else. Except I don’t need to be, it’s all right here at my finger tips.